Joseph B. Chalk, age 93, died on April 5th, 2019 at Sunrise Assisted Living Complex of Natural Causes. Joe, who lived in Springfield, Virginia, was born on December 11, 1925 in Detroit, Michigan. He was the fourth child of eleven children of Joseph and Katherine Chalk. He served in the U. S. Army Air Force during the Second World War. In the 1960's, he worked for the Chrysler Corporation in conjunction with the National Aeronautics and Space Administration (NASA) in Huntsville, Alabama as a Senior Project Engineer on the Saturn V Apollo launch vehicle. In 1969, he came to the Washington, DC area to work for the Naval Intelligence Command. From 1986 until 1993, he worked for the Defense Intelligence Agency as a General Physical Scientist and Scientific Intelligence Officer. 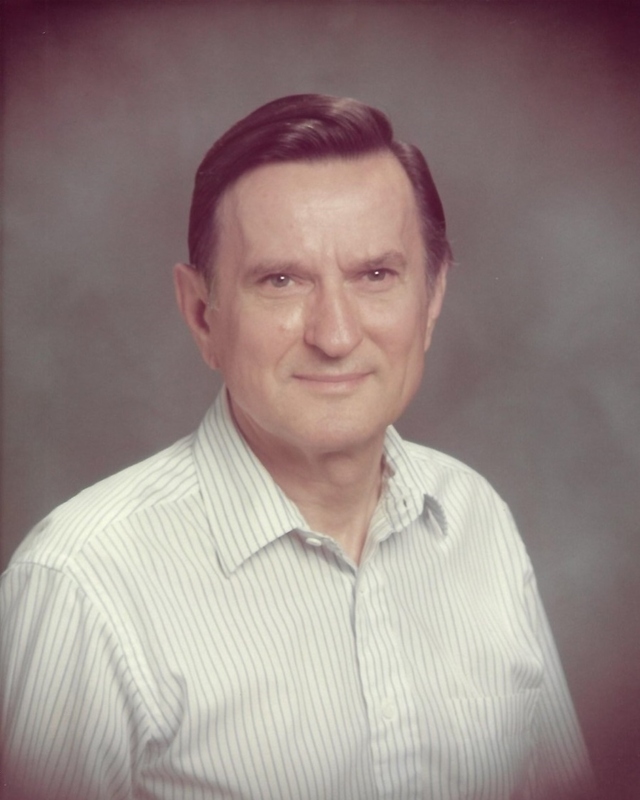 He lectured on rocket propulsion systems at the U.S. Air Force Academy at Colorado Springs and the U.S. Naval Post Graduate School in Monterey California. In Retirement, he was a docent at the Smithsonian’s National Air and Space museum, a founding member of the American Air Museum in Britain, a member of the U.S. Air Force Association, and an Associate Fellow of the American Institute of Aeronautics and Astronautics. Joe was an alumnus of the Lawrence Institute of Technology where he received a Bachelor’s of Science Degree as well as an alumnus of the University of Maryland where he received a Master’s of Science Degree. Joe was an Area 23 Governor of Toastmasters International, a Fairfax County Public and Parochial School Science Fair judge, a charter member of Nativity Catholic Church in Burke Virginia, a life member of the Knights of Columbus, and a Chief Usher at The Basilica of the National Shrine of the Immaculate Conception in Washington, DC. His hobbies included painting, playing golf, and making violins. Joe was predeceased by his parents, ten of his siblings, and his eldest son, Daniel. Survivors include his wife Irene Helen (Kosakowska) Chalk of 70 years; three sons, Michael J. Chalk of Huntsville, Alabama, Joseph T. Chalk of Springfield, Virginia, Steven W. Chalk of Springfield, Virginia, and a daughter, Mary Anne (Chalk) Reynolds of Charlotte North Carolina; eight grandchildren; seven Great Grandchildren; and sister, Mary (Chalk) O’Brien. Visitation will be held at Everly Wheatley Funeral Home, 1500 West Braddock Road, Alexandria, VA 22302 on Wednesday, April 10th from 6 p.m. to 8 p.m. Mass of Christian Burial at Nativity Catholic Church, 6400 Nativity Lane, Burke, VA 22015 on Friday, April 12th at 1 p.m., followed immediately by interment at Fairfax Memorial Park.